Headaches and pregnancy should not go together. Many women who have migraines and headaches seem to watch their head pain disappear during pregnancy. Almost 70% of women with a history of headaches improve during this time. Unfortunately,30% don't improve. They stay the same or get worse. Headaches in pregnancy may become more frequent and more severe as estrogen levels rise in the first trimester.If you are one of these women, you might improve if under the care of both your OB/GYN and a neurologist. Let's be clear..I am talking about moderate to severe headaches that are not relieved by Tylenol. 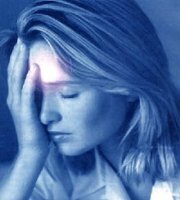 If this is a new onset of headaches or migraines then this could be an emergency. Please call your doctor and tell them if you have headaches you've never had before. A Moderate to severe headache in pregnancy should be taken seriously. High blood pressure during pregnancy can be serious and could cause a bad headache. You should also be aware of the causes of high risk in pregnancy. Read tips on getting pregnant and pregnancy: high risk factors. As mentioned, these headaches can be severe. If accompanied by nausea and vomiting that should be treated too to avoid stress on the baby. Tylenol or Tylenol with codeine is the drug of choice during the first trimester, to be used at the onset of the migraine. Additionally, you can be on prophylactic medication during this time if necessary. We usually place our patients on Inderal (propranolol) low dose, 10-20mg per day to start. Can you have triptans while you are pregnant? We get this question alot and generally speaking NO you cannot take your triptan during this time. Most OB/GYN's and primary care physicians would agree. However...if your headaches are so severe the Tylenol with codeine is not working, then you should see a headache specialist. ONLY A NEUROLOGIST should determine if you can have a triptan during pregnancy. You can also discuss anti-seizure drugs such as Topamax during pregnancy. Most of the time they should not be given during pregnancy, but once again some have lower risks than others. Lamictal (lamotragine) is used for seizures and bipolar disorder in pregnant women. Many times the headaches in pregnancy are a form of tension headache that will respond to heat and massage. Many people ask me about MRI's, CT scans and being pregnant. You should NOT have a CT of the brain while pregnant. This is a form of X-Ray and is not good for the forming fetus. However, if a doctor deems it is necessary you can have an MRI or MRA of the brain. MRI's use magnetic fields. MRA's are similar but only look at the arteries in the brain, not the brain itself, like MRI's. MRI's are not generally done when you are pregnant and we do not do them if the diagnosis is clear cut..such as a recurrance of migraines. But if needed, we do them right away. Rarely, I have seen brain tumors and aneurysms (out pouching of arteries) in pregnancy. Remember, medical intervention is warranted if the health of the mother is at risk. If you are in trouble, the baby is in trouble. Although medication should be avoided during pregnancy, if the risk to you is greater then the condition should be treated. Also, lifestyle changes can go a long way in managing pregnancy headaches. Severe pain of chronic headache increases adrenaline levels. This increases the baby's heart rate and your blood pressure rises. Therefore, when it comes to headaches and pregnancy, control of the headaches is imperative. Occasionally, we do prescribe daily medication for mothers who have severe pain with nausea and vomiting. This should be guided by both your OB/GYN and your headache specialist. Headaches and pregnancy is not something to just be endured. This should be one of the happiest times of your life, not one of the most miserable. Read more about different types of headaches and fibromyalgia and pregnancy. Sign up for the monthly Headache-Adviser Newsletter for updates on research and new treatments. I promise to use it only to send you the monthly Headache-Adviser Newsletter. Build a site like this in 2 weeks and become a work at home mom! Download a free headache diary and keep track of your headaches. Copyright© 2007-2012 Information Enterprises, LLC. The information on this website is for educational purposes only. See your doctor for headache treatment.